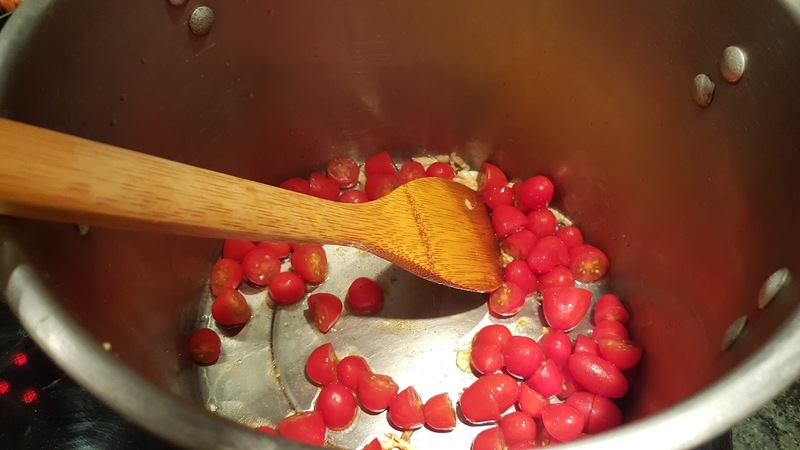 Wash and dry the tomatoes, then cut them in halves. Heat a large saucepan or stock pot over medium heat and pour in enough cooking grade olive oil to coat the bottom. Add the crushed garlic and stir it until it no longer smells raw. Add the halved tomatoes and stir until they are coated with the olive oil and slightly softened. 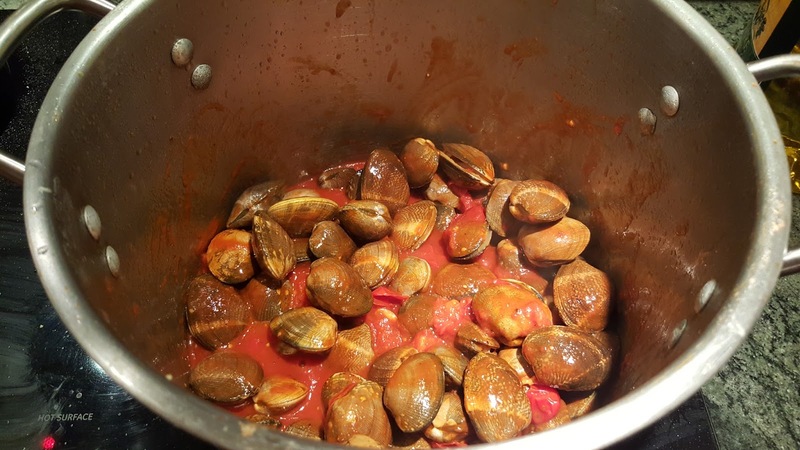 Pour in the tomato sauce and turn the heat to low. 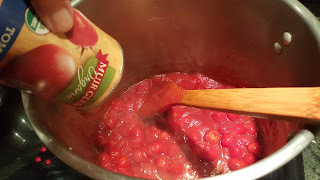 Simmer the tomato sauce for 10 minutes, stirring occasionally. Meanwhile, place a large saucepan of water on the stove and heat the water to boiling. 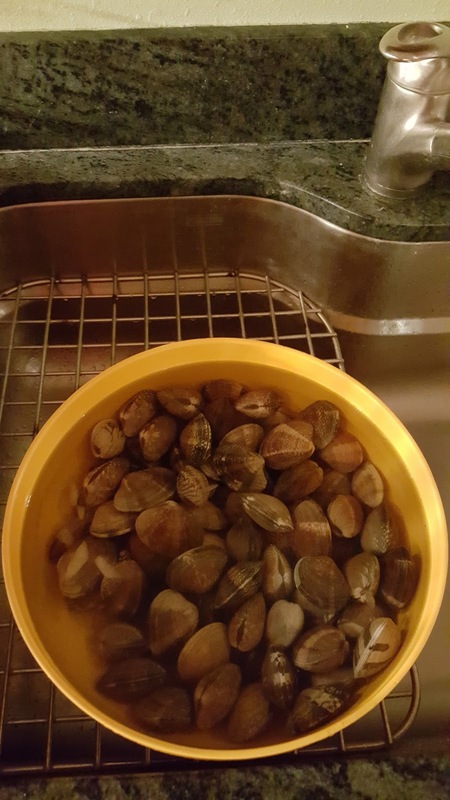 Wash and drain the clams in a large colander. 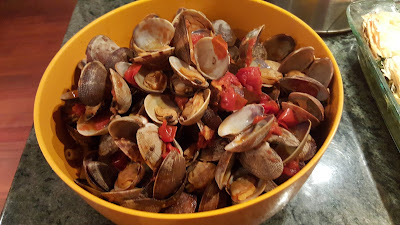 Add the wine and black pepper to the tomato sauce, stir, then add the clams. 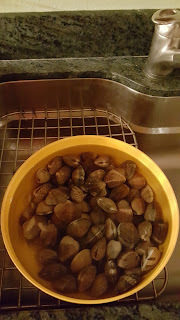 Stir until all of the clams are coated with the sauce, and cover the pot. Simmer the clams for about 5 minutes, until the clams open up, then turn off the heat. Meanwhile, cook the ziti in the boiling water for 5 minutes, then pour them into a colander or large sieve to remove the water. 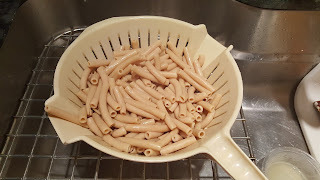 Immediately drizzle some salad grade olive oil over the ziti and mix them gently until all are coated with the oil. Place the ziti in a serving dish and add the clam sauce, then mix gently. 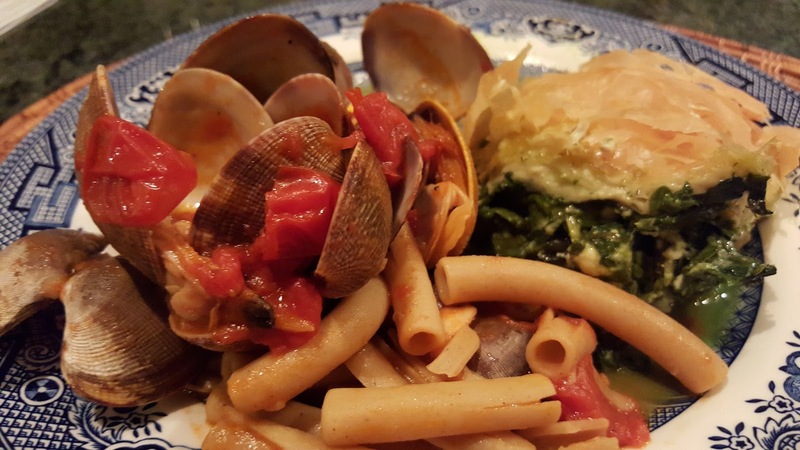 This dish is loosely based on a recipe for spaghetti with clams on The Greek Foodie web site.